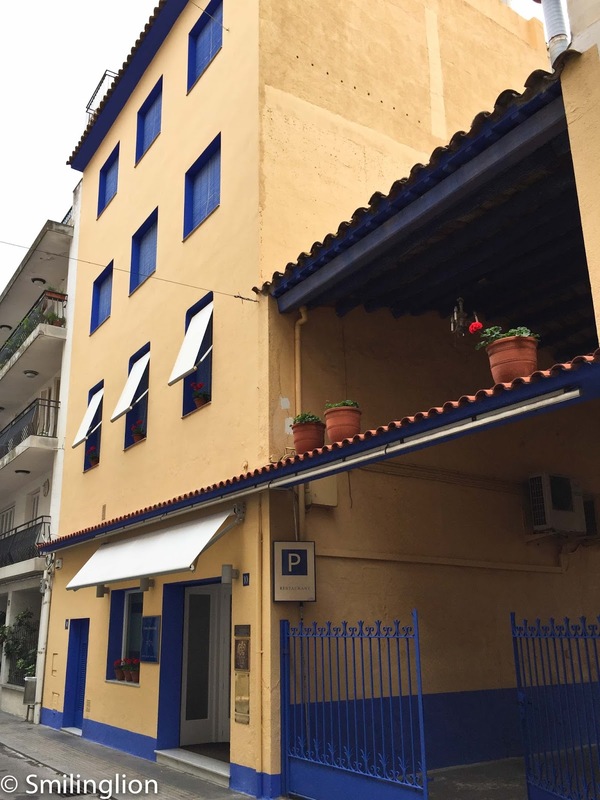 It was 3 years ago that we were first blown away by a meal at San Pau (read earlier review), and so we were hoping that our increased expectations would continue to be met this time round. 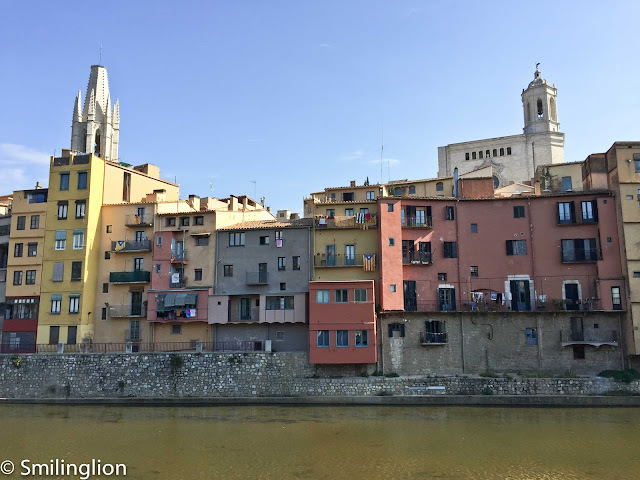 Unlike the last time when we drove to the little seaside town of Sant Pol de Mar for lunch on route to Can Fabes, this time we based ourselves in Barcelona city and took the train instead. It turned out to be quite convenient: the train station at Plaça Cataluña was mere steps away from our hotel and there were direct trains every half and hour or so. The journey took the best part of the hour (because the train had to make 16 other stops in the meantime) but on a clear sunny day, the views of the blue Mediterranean sea out of the train window would help pass the time. 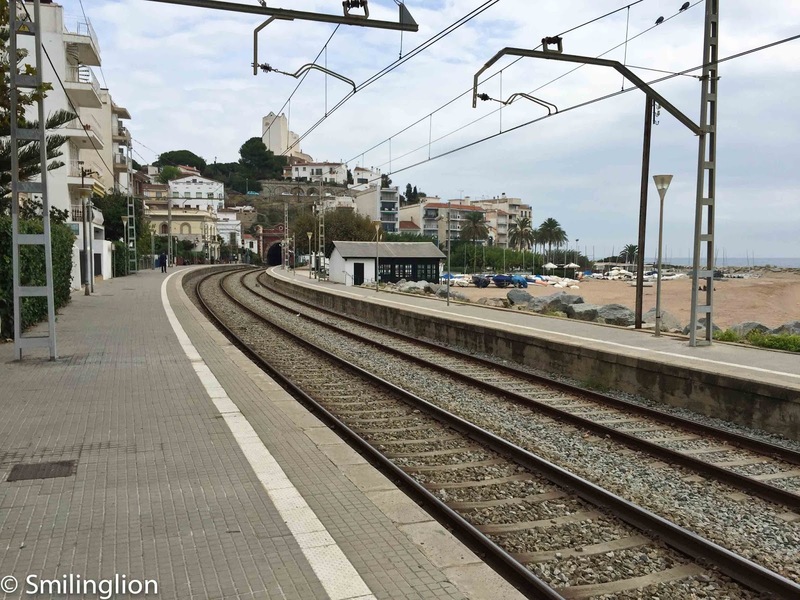 The train stop at Sant Pol de Mar is literally at the backyard of Sant Pau; in fact from the train platform, we could look over the fence and the shrubbery and see the kitchen staff busy preparing our meal. We could also see the lovely garden where we had such a good time sipping coffee and eating our mignardises after our meal the last time round. We were fortunate this time to be given a table right in front of the glass windows (like we were the last time), so we could enjoy the sea view and the sight of the beautiful gardens below us. Every 30 minutes or so we could also watch the train go by, but that was a minor distraction of what would be otherwise pleasant scenery over the course of our lunch. 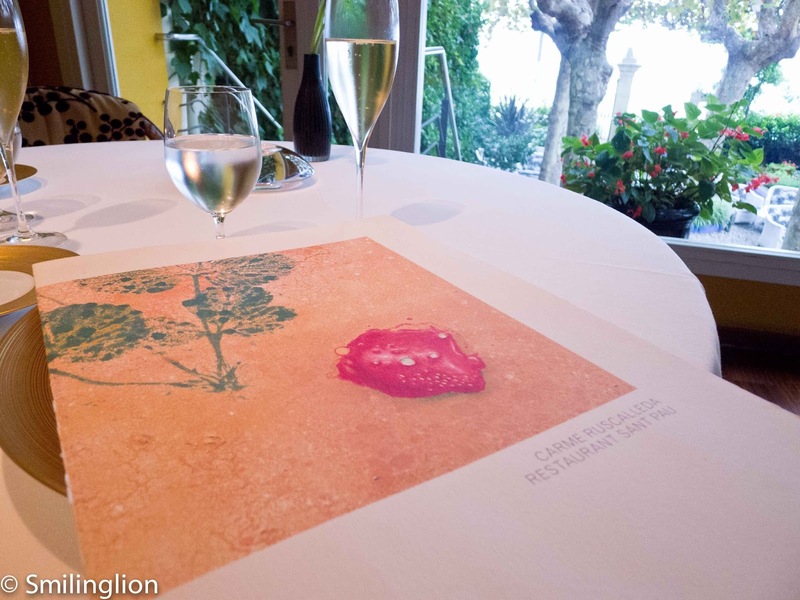 As we did the last time, we opted for the tasting menu, and also had the wine pairing (which consisted of all but one of white wines given the seafood and fish emphasis on the meal). Lunch started with three amuse bouche; the first was the mini mozzarella marinated in miso (vegetables and fruits salad). 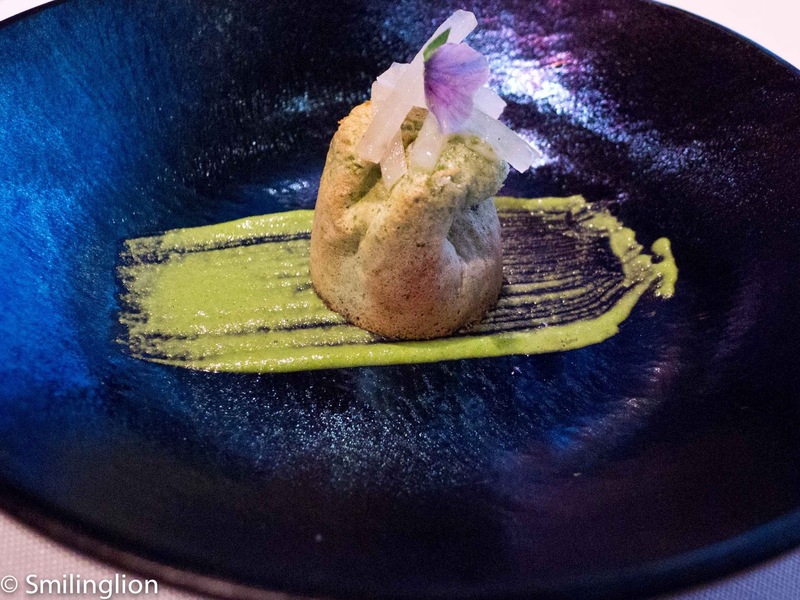 Despite its simple appearance and otherwise unimpressive ingredients, this dish really caught our attention for its impeccable balance of flavours. It seemed like with every chew, a different flavour would manifest itself in our mouths, whether it be the sweetness of the fruits, the bitterness of the parsley, the freshness of the cucumber, the brininess of the cheese or the crunchiness of the radish. All these against the backdrop of the umami flavour of the miso sauce which was subtle and not overpowering. 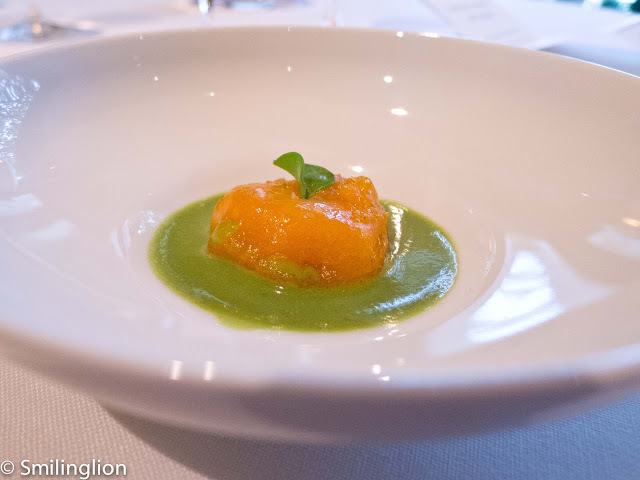 The dimsum of pumpkin ("mole verde" soup) was a pumpkin dumpling made in a style similar to the Cantonese hargao and doused with a Mexican salsa-like soup. The spiced coulant sponge (cheese and pistachio) was also very special. The coulant sponge tasted very similar to the Peranakan 'kuih' we are familiar with. It was spongy yet slightly moist, warm, sweet and with a tinge of pandan flavour. It was stuffed with cheese and accompanied by some pistachio cream. Next came the entreés. 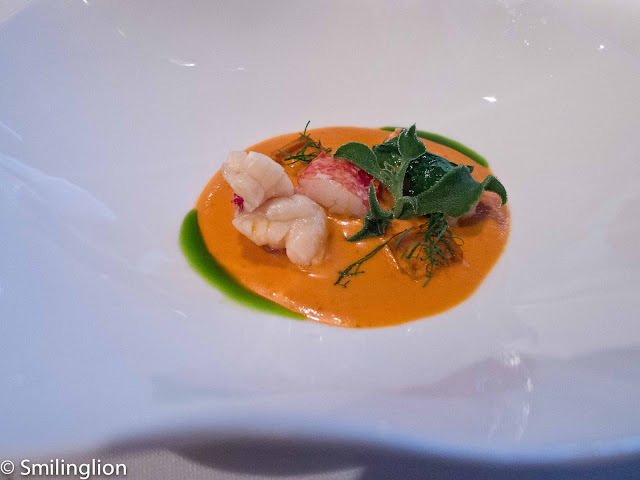 The lobster, tomato and strawberry velvet (chervil, parsley, manzanilla, lettuce) had such an deliciously rich lobster bisque which was balanced out by the sweet strawberry jelly bits. 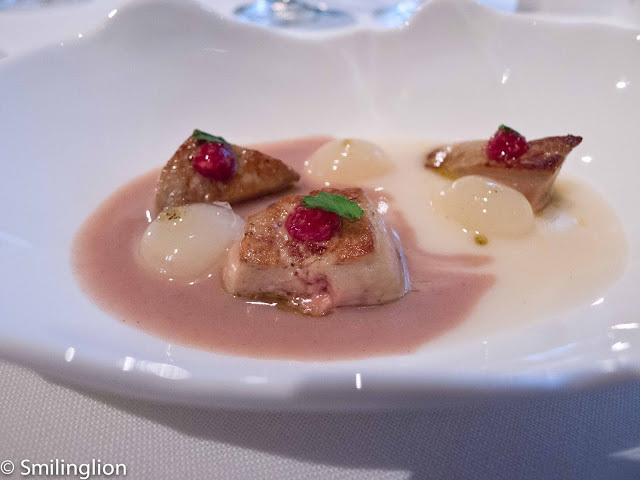 The foie gras dices (pear, figs, sastre and ganxet beans) surprised us. 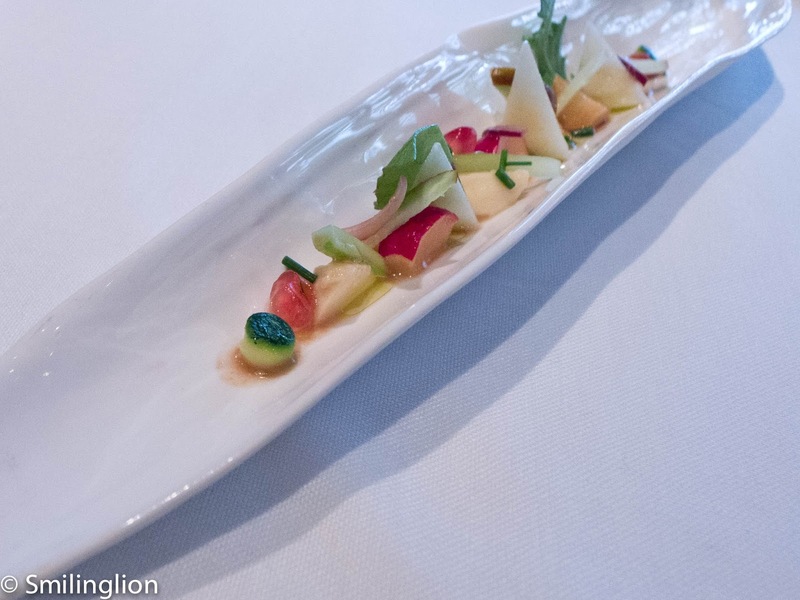 This 'yin-yang' dish of contrasting flavours accompanying the lightly seared foie gras was very well put together. The use of strong shellfish stock made an appearance again in this dish. 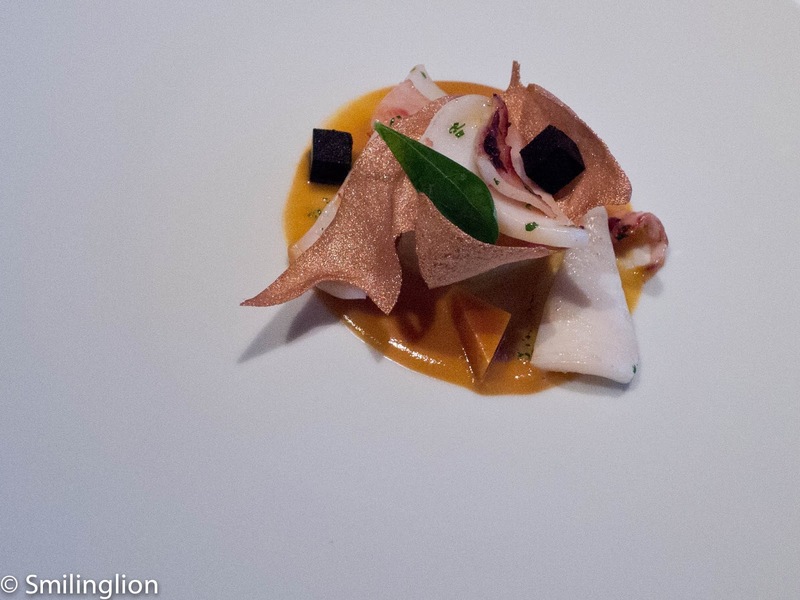 The squid 2015 (turnip, its spleen sauce, ink and spicy jelly) was another successful concoction of fresh seafood with a thick bisque to die for. The crunch was provided by the turnip and the spicy squid ink jelly brought more umami into the dish. A simple dish with a story behind it was next. 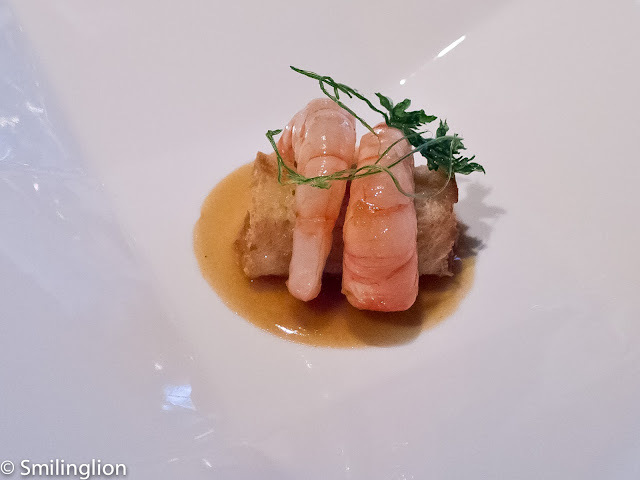 The gamba on sailor's toast (tribute to the local sailors cuisine) was a reminder of simpler days in the village when the fishermen who returned to shore after a long day's work were welcomed back with a dish of shrimp on toast (soaked in fish stock and toasted again). Again, nothing complicated but bursting in flavours in the mouth. 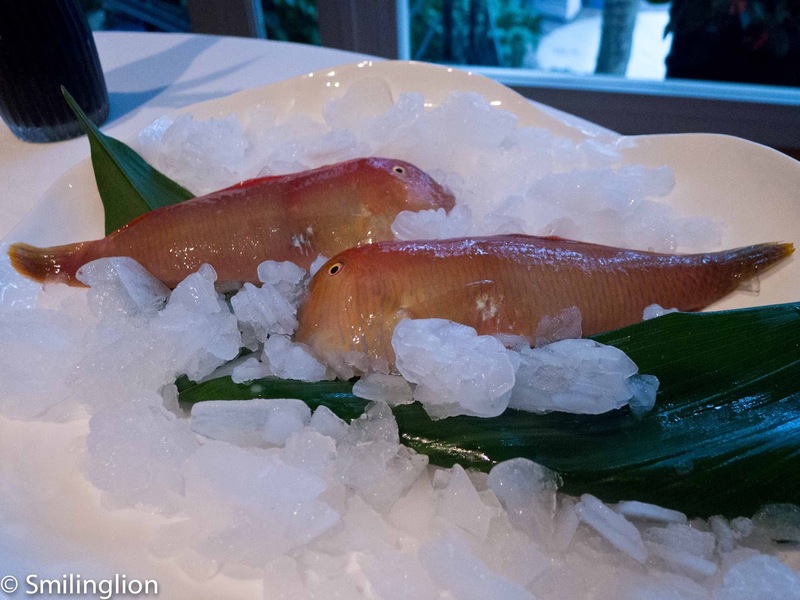 One dish which is always found in the menu: the famous parrot fish (its proper name is the 'cleaver wrasse'). This is a pretty and colourful fish which can be found in the waters right in front of us. The fishes were brought to our table before they were cooked. 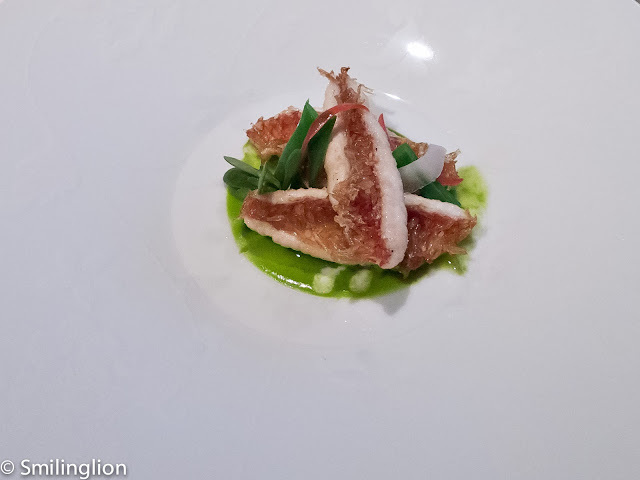 And when served, the cleaver wrasse with thai flavours (courgette, coconut, onion, verdolaga) was quite spectacular; with its crispy scales and firm and sweet flesh, and matched with a sauce which had only a subtle hint of thai green curry. 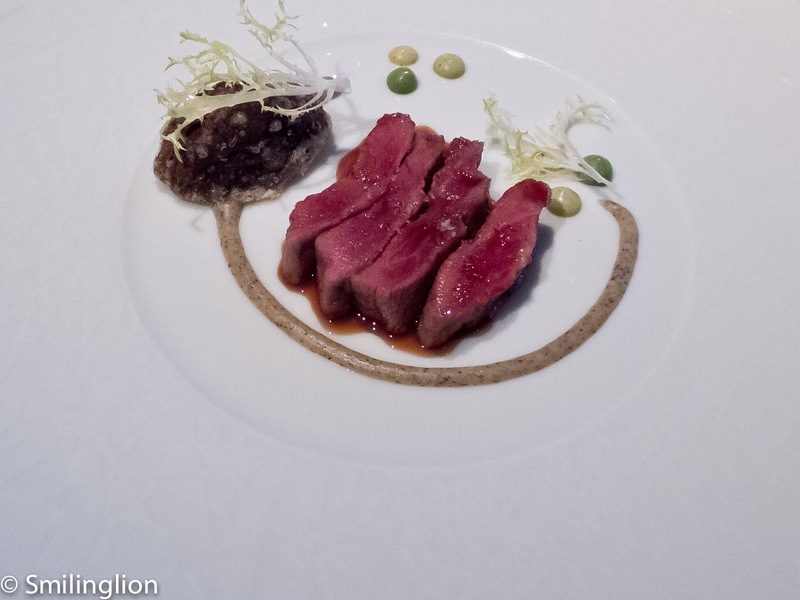 The pluma of Iberian pork (medium-rare roasted, farming mushroom in textures) had the texture and flavours of high grade wagyu beef, which was surprising to us. This was an excellent main course as well. We had something similar the last time we were here but we felt that this version was better. 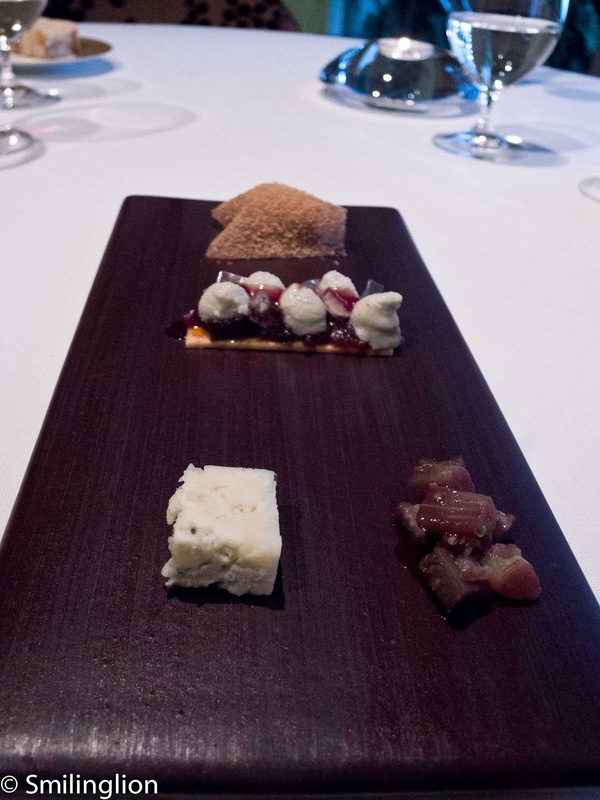 The cheese for October - "No 46 Second Series" (blau d'osona, 3 combinations with aubergine, sweet wine, cinnamon. lemon thyme) was a blue cheese done in three ways. It was very light and enjoyable. 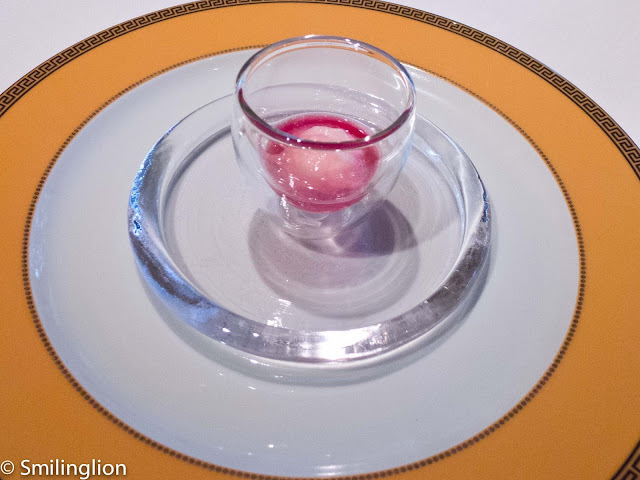 The palate cleanser, the refreshment (melon sorbet) was interesting because the sweetness of the melon sorbet was blunted by the vegetal flavour of the beetroot juice. One of the memorable desserts of our last visit here was brought back to us. 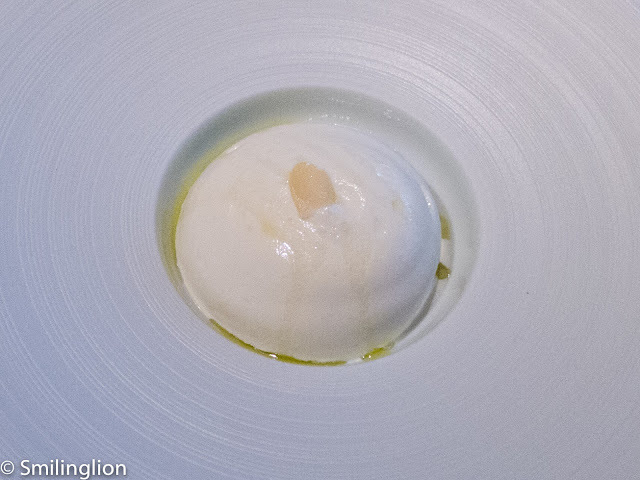 The almonds kiss (sea water, olive oil) was so delightfully soft and light that we could not get enough of it. 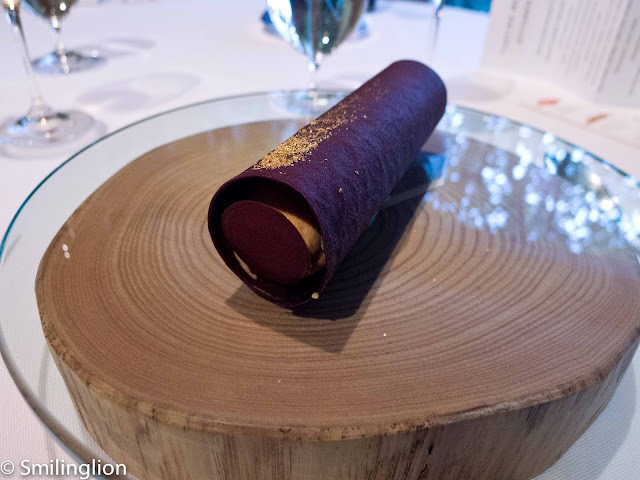 Finally, the rich black chocolate wafer (whiskey, sweet potato, 24k gold) was a fitting end to an excellent meal. It was the first time we have had sweet potato in dessert form in a western fine dining restaurant and it worked quite brilliantly against the bitterness of the black chocolate and the whiskey. We were about to be disappointed. In the half-hour prior to this point, the skies turned grey and there was some minor precipitation. To our horror, a member of the staff was downstairs in the garden removing the seat cushions to protect them from the rain. 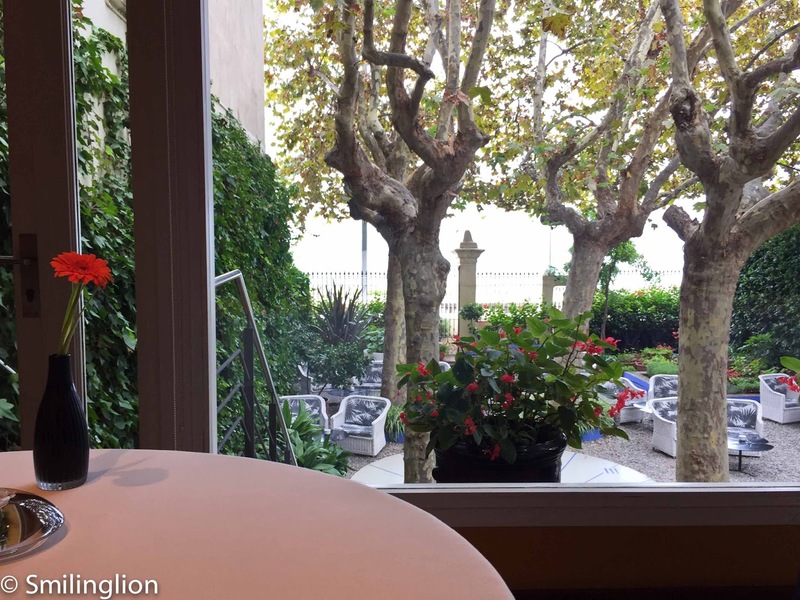 We would not have the opportunity this time to enjoy our mignardises in the garden. Which was a waste given the effort put in for the mignardises, also called the Ferafoc (white chocolate, black chocolate, puff pastry/angel hair/pine nuts, coco cookies, spiced cookies, liquorice and sherbet philo, speculoos). 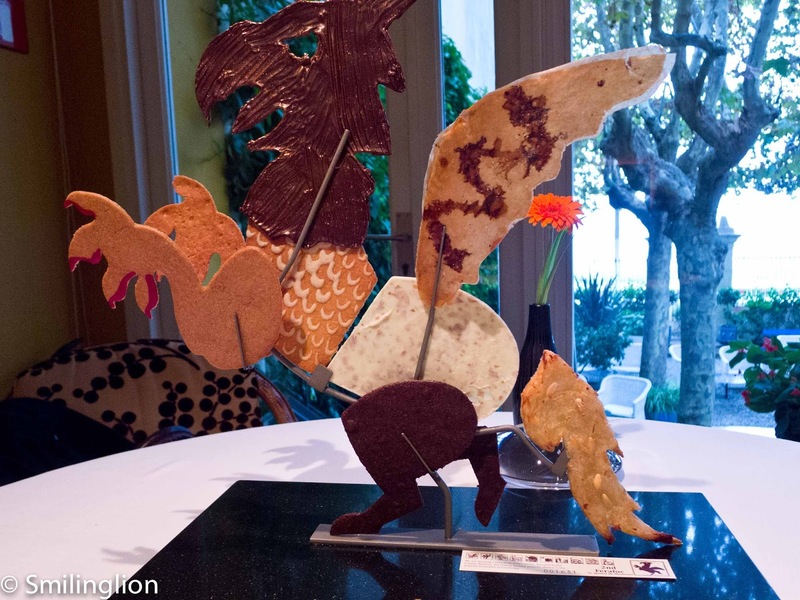 Shaped in the form of a local mythical lion-horse being, it was put together with various different types of biscuits and chocolates. 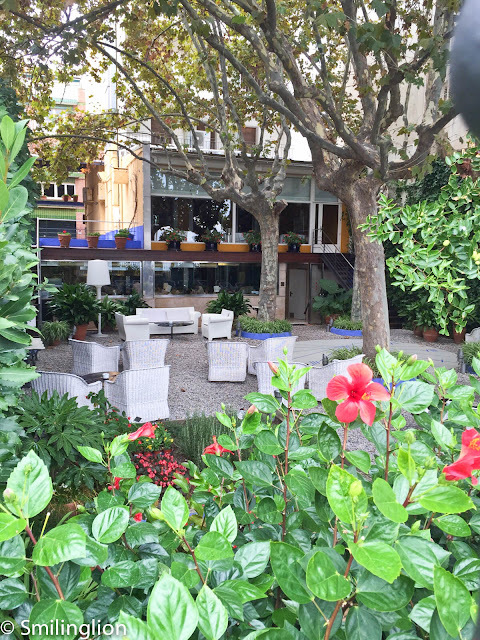 Despite that downer, there was no doubt that we just had another fantastic meal at Sant Pau. The food was probably slightly better than our previous meal here and we were once again very well taken care of during our time there.